For Marvelous Middle Grade Monday, I am thrilled to share one of the best books I have read in a while, definitely one of the best middle grade reads I have encountered. I believe I first came across it at another middle grade blog a while back, but not sure which one (sorry!). From inside Caitlin's head, readers see the very personal aftermath of a middle school shooting that took the life of the older brother she adored. Caitlin is a bright fifth grader and a gifted artist. She also has Asperger's syndrome, and her brother, Devon, was the one who helped her interpret the world. Now she has only her father, a widower who is grieving anew and whose ability to relate to his daughter is limited. A compassionate school counselor works with her, trying to teach her the social skills that are so difficult for her. Through her own efforts and her therapy sessions, she begins to come to terms with her loss and makes her first, tentative steps toward friendship. Mockingbird immediately grabbed me and did not let go until the last page was turned—even then, it still held my heart-strings. I was absolutely fascinated with Caitlin’s thought-processes and the way she saw the world. I laughed—a lot. I was on the verge of tears—many times. The characterization broadened my perspective on people in general, but most specifically, people who have disabilities. 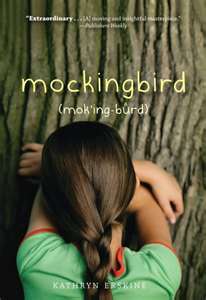 Kathryn Erskine has written a novel that maintains that delicate balance of being relevant and engaging for middle graders while also being thought-provoking and timeless for all readers. I, especially, recommend this book for teachers because it humanizes and illuminates those students we often misunderstand. Mockingbird is a book that will not be soon forgotten. 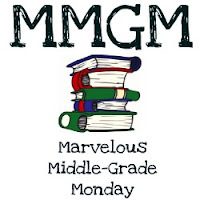 Check out the Marvelous Middle Grade Round Up at Ramblings of a Wanna Be Scribe. Yet another book to add to my TBR list! Thanks! LOVE this book! I read it aloud with my kids so they would fully "get" that we were inside a brain that works so differently than normal. We laughed, cried, cheered, and finally UNDERSTOOD what Aspergers and autism is. This one struck me as one that teachers will like way more than students. 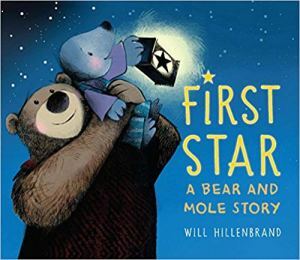 It would be a great read aloud because there is a lot to process. We reviewed this one on our blog a few months ago and were lucky enough to interview Kathryn Erskine. My co-author, Stephanie, and I loved Mockingbird. Reading a book from someone with Aspergers was eye opening. Caitlin was such an interesting character and she has stayed with me. A book I think everyone should read. Great review! I have to get this one read. Have heard so, so many good things about it for a long time now. Thanks for featuring it! p.s. love your blog, glad I found it! Of course, now the trick is to moooove along, stay focused on the task at hand. Think I could spend a whole lot of time here!